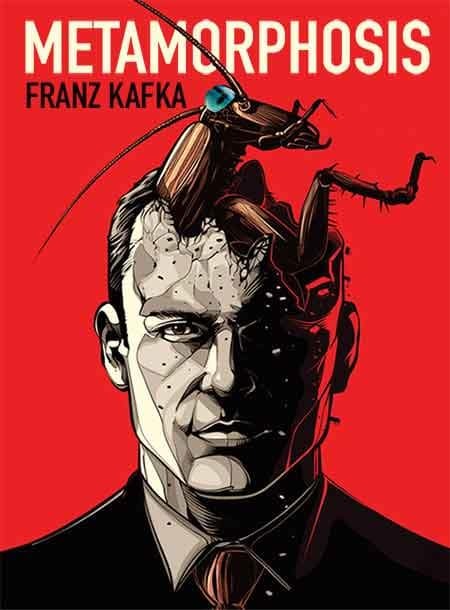 Gregor Samsa, a traveling salesman, wakes up in his bed to find himself transformed into a large insect. He looks around his room, which appears normal, and decides to go back to sleep to forget about what has happened. He attempts to roll over, only to discover that he cannot due to his new body—he is stuck on his hard, convex back. He tries to scratch an itch on his stomach, but when he touches himself with one of his many new legs, he is disgusted. He reflects on how dreary life as a traveling salesman is and how he would quit if his parents and sister did not depend so much on his income. Gregor Samsa, a traveling salesman, wakes up in his bed to find himself transformed into a large insect. He looks around his room, which appears normal, and decides to go back to sleep to forget about what has happened. He attempts to roll over, only to discover that he cannot due to his new body—he is stuck on his hard, convex back. He tries to scratch an itch on his stomach, but when he touches himself with one of his many new legs, he is disgusted. He reflects on how dreary life as a traveling salesman is and how he would quit if his parents and sister did not depend so much on his income. Reformatted this one for better line-tracking using m2s! Updated on Feb' 20, 2019!